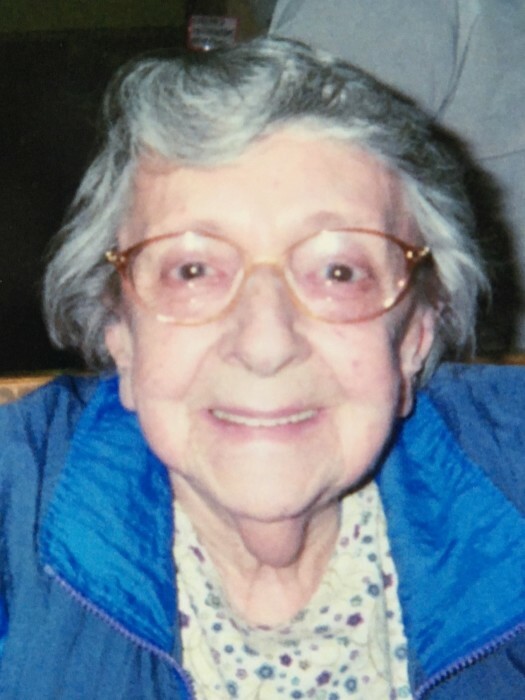 Doris V. Fortney, 95 years, of Bryan, passed away Friday, August 24, 2018 at Community Health Professionals Inpatient Hospice Center, Defiance. Doris was born July 18, 1923 in Grass Lake, Michigan, the daughter of the late Edwin and Besse (Wistner) Dindot. At the age of 13, the family moved to Paulding County, and she graduated Valedictorian of the Class of 1941 from Oakwood High School. After graduation, Doris worked at Radio and Machine Works in Defiance. Moving to Bryan in 1944, Doris went to work at the ARO Corp. retiring in 1991 with over 30 years of service. Doris enjoyed playing softball in Defiance and Bryan in the Softball Leagues. She also enjoyed bowling and golfing, and once had a hole-in-one at Riverside Greens Golf Course in Stryker. She also enjoyed playing cards, going to the casino, sewing, knitting, crocheting and making crafts, many times for friends and family. Doris served over 20 years at the Church Women United Thrift Store and on the Board of Directors. Surviving are her three sons, Jack (Deb) Fortney of Bryan, Mike (Deb) Fortney of Perrysburg and Gary Fortney and his fiancée Jen Adams of Henderson, Nevada; two granddaughters, Kim (Matt) Cascio of Woodville and Alissa Fortney of Boulder City, Nevada; two great-grandchildren, Riley and Trinity Cascio as well as many nieces and nephews. Visitation for Doris V. Fortney will be held Tuesday, August 28, 2018 from 2:00 – 8:00 p.m. in the Oberlin Turnbull Funeral Home, Lynn Street Chapel, 206 North Lynn Street, Bryan. Funeral services for Doris will be held at 11:00 a.m. Wednesday, August 29, 2018 in the funeral home with Pastor Brent Sloan officiating. Interment will be made in Ridge Cemetery, Van Wert, Ohio.